The Bible mentions having or bearing fruit. What does it mean? What fruit does a faithful Christian bear? The Greek word used for “fruit” is “karpos” and it refers to the fruit of vines or trees. In the Old Testament it can refer to one’s children which are born of a family. In the case of bearing fruit for the Christian, it specifically means to be producing something similar to what the attributes of the tree or plant is. For example, a vine can produce grapes and the fruit that is born is of similar nature and quality of the plant from which it comes. The key is that the fruit that it must be bearing is of the same type, quality, and substance of that which it comes from and when the Bible speaks about bearing fruit, there are only two options; it will be fruit of the Spirit or fruit of the flesh. Paul writes about two different kinds of fruits in Galatians chapter 5 and says “walk by the Spirit, and you will not gratify the desires of the flesh. For the desires of the flesh are against the Spirit, and the desires of the Spirit are against the flesh, for these are opposed to each other, to keep you from doing the things you want to do” (Gal 5:16-17). The fruits of the flesh are evident in most of the world, among those who are not saved. The fruits of the flesh include “sexual immorality, impurity, sensuality, idolatry, sorcery, enmity, strife, jealousy, fits of anger, rivalries, dissensions, divisions, envy, drunkenness, orgies, and things like these” (Gal 5:19-21a). Where do these kinds of fruits lead someone? Paul answers that by writing “I warned you before, that those who do such things will not inherit the kingdom of God” (Gal 5:21b). The rationality of this is if they aren’t inheriting the kingdom, then they are inheriting the wrath of God (Rev 21:12-15). Sometimes even a Christian can bear these types of fruit because they are still battling the old desires which is what Paul meant when he wrote “For I do not do the good I want, but the evil I do not want is what I keep on doing” (Rom 7:19). The difference is that Paul didn’t want to do these things and neither do those who are born again. Those who are of the world have no problem with doing these things (Gal 5: 19-21a) but the Christian knows these are not good and desires to do good. Next, Paul writes about what the fruits of the Spirit are. The “Spirit” is capitalized, meaning that it’s a proper noun, which is a person and in this case, the Spirit is God the Holy Spirit for we can’t produce godly fruit while we’re in the flesh or without the Spirit’s help. Paul tells us what the fruits of the Spirit are in Galatians chapter 5 “the fruit of the Spirit is love, joy, peace, patience, kindness, goodness, faithfulness, gentleness, self-control; against such things there is no law” (Gal 5:22-23). 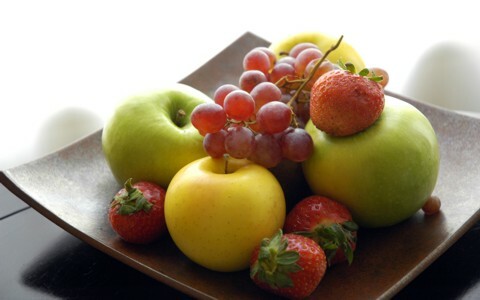 These are fruits that are attributes of God like patience, joy, and faithfulness. The fruit will closely resemble the parent plant, in this case the Spirit of God. We cannot see in the human heart to know who is saved and who isn’t but we can see the fruit of a person’s life or the absence thereof, “And those who belong to Christ Jesus have crucified the flesh with its passions and desires” (Gal 5:24). So a believer in Christ has crucified the flesh and that means the fruits of the flesh will be less visible but those who are born of the Spirit are crucifying or killing “the flesh with its passions and desires.” A person who’s not born again cannot produce these fruits and doesn’t care if they’re not. Jesus told the disciples “I am the vine; you are the branches. Whoever abides in me and I in him, he it is that bears much fruit, for apart from me you can do nothing” (John 15:5). The key here is that apart from abiding in the vine, we cannot produce anything at all which is why He said “Abide in me, and I in you. As the branch cannot bear fruit by itself, unless it abides in the vine, neither can you, unless you abide in me” (John 15:4). You will never see a branch producing any fruit unless it’s attached to the vine. It’s not hard…it’s impossible so we must be abiding in Christ for He says “If you abide in me, and my words abide in you, ask whatever you wish, and it will be done for you” (John 15:7). If we abide in Christ we will produce fruit and when Jesus said His words must be abiding in us that means that we must be abiding in or dwelling in the Word of God for Jesus is the Word and the Word is Jesus (John 1:1, 14). Apart from abiding in Christ and His Word, the Bible, we can do nothing at all (John 15:5) and nothing does not mean a little something. Jude described those who are headed for destruction as “fruitless trees” (Jude 1:12) meaning that there will be no fruit of the Spirit in those who are not abiding in Christ and in His Word. What is missing is “the fruit of righteousness that comes through Jesus Christ” (Phil 1:11) and “the fruit you get leads to sanctification and its end, eternal life” (Rom 6:22) for which we were called “in order that we may bear fruit for God” (Rom 7:4). As I wrote before, we cannot see into a human heart to know whether someone is saved or not but we can see what type of fruit is born. In other words, we can be fruit inspectors and we can tell if there is no fruit and if there is no fruit, there is no root and if the only fruit you see is that of the flesh, you can reasonably assume that person might not be saved. If you are abiding in Christ then you will be abiding in His Word, the Bible and you will be producing fruit of the Spirit. The word “abide” means to dwell in, to live in, and be present in. Every Christian should be bearing fruit of the Spirit; some more and some not as much but every believer should be bearing at least some fruit but if someone claims to be a Christian and is bearing no godly fruit and you only see fruit of the flesh, you need to witness to that person because it could well be that they are not really saved. Beyond us looking at other people to see their fruit, it is also good to take a look at our own lives to make sure we are bearing fruit. Do we see that in our own lives? Are we seeing more of it over time, as we grow in Christ? I know for me, as an early believer, I didn’t bear much fruit. However, over time, Christ has changed me, and I have come to bear more fruit. I pray that the trend continues in my life! So, if you are bearing little, don’t give up. Draw closer to Jesus. Ask Him to allow you to bear more fruit. When we pray to do God’s will, expect those prayers to be answered! Great point Jim. All new believers like all new trees take some time for fruit to be revealed and then to ripen so you make a great point there. Bearing fruit does take time. I myself am never satisfied and need to keep abiding in the vine daily for me to draw from the life-giving sap of the Spirit of God and from the Vine Himself, Jesus Christ. Change is a lifetime, lifelong process which is why I am so greatfull that God is patient. I cannot express how overjoyed I am with the work the Lord has introduced you to. Through this website and its edifying content I have become a fruit bearing tree and this has only been through the power of the Holy Spirit who has been a great Couselor and foundation of which my roots are planted into. Touching on the topic of fruit bearing, I concur with brother Jim and celebrate his comment when he says, …”it is also good to take a look at our own lives to make sure we’re bearing fruit” The key words that strike me are “make sure”. I pray that the good Garderner (God), gives us the grace and mercy to make sure that we tend to our own trees and that we produce the fruit not self edifying only, but praising and glorifying unto the Kingdom of God. Thank you once more, for a God infested site and I pray He continues to work in your life as you touch so many of us. You are so kind Clayton. Thank you. It is rare to find such edifying comments such as yours. May God richly bless you sir for that. Good day you are really making us grow in knowing Christ, what is the different between bearing fruits spiritual and wining souls is it the same thing? I think growing in grace and knowledge is knowing more of Jesus and God but bearing fruits are showing your life in Christ like love, peace, joy, (Gal 5:22-23) but winning souls is helped to know that the power is in the gospel ROm 1:16; 1 Cor 1:18) and not in the person who shares it. May God bless you my friend in Christ. Thank God for your life and the teaching. You provide us with invaluable resource to share with our brethren. Pastor Wellman, this article has been very helpful in explaining bearing good fruit. You have answered many questions I’ve had in regards to this topic. Thank you Elizabeth. All glory to God for I have nothing that I did not receive from God (1 Cor 4:7). Thank you so much for this beautiful article. I especially enjoy all of the comments–making me feel like part of the family. I hate doing christian life alone, and it is so hard for me to get to church with broken bones. I pray that I find a good, sound Bible church. Thank you again for this article. It really is my desire to bear much fruit and to reflect Christ. Thank you. Sorry, but I do not have email. Excellent explanation about bearing fruits. Thank you Manu. May God richly bless you for your encouraging words. If we don’t have as much passion toward Jesus today as we did when we first believed we have backslidden. The only way to keep this from happening is to abide in his word and when we abide in his word we abide in him and when we abide in him we bear his fruit in our lives. As Jesus said I do nothing of my own I abide in the father and the father in me .Jesus was also bearing the fruit of the father as we will bear the fruit of Jesus. Next post: How Does The Bible Define Patience?